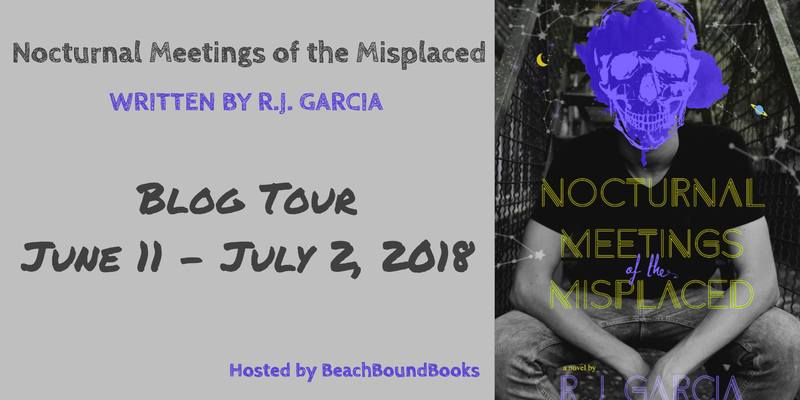 BeachBoundBooks is pleased to be coordinating a Blog Tour for R.J. Garcia's young adult mystery, Nocturnal Meetings of the Misplaced. The tour will run June 11 - July 2, 2018. Summary: Mystery surrounds the town of Summertime, Indiana, where fifteen-year-old Tommy Walker and his little sister are sent to live with relatives they’ve never met. Tommy soon makes friends with Finn Wilds, a rebellious local who lives with his volatile and abusive stepfather, who also happens to be the town’s sheriff. Finn invites Tommy to late night meetings in the woods, where Tommy gets to know two girls. He forms a special and unique connection with both girls. 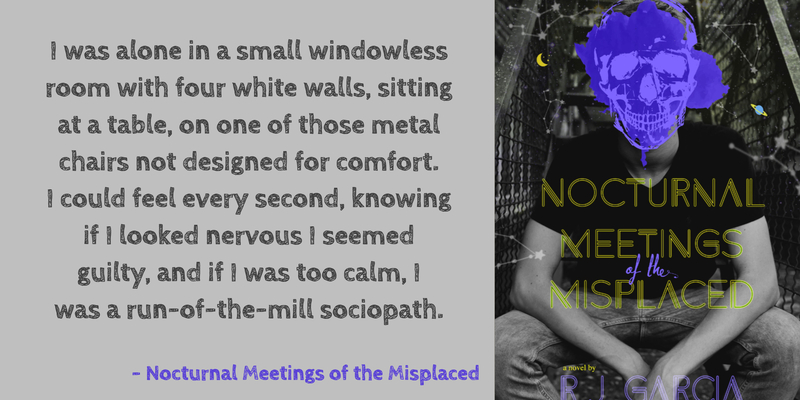 The meetings become a place where the kids, who don’t fit in at school, or home can finally belong. As the group of friends begin to unravel clues to a cold case murder and kidnapping— they learn the truth is darker and closer than they ever imagined. Even if they live to tell, will anyone believe them? R.J. Garcia is a wife, and proud mom of two smart kids. She earned her MSW and worked with foster children and as a school social worker. 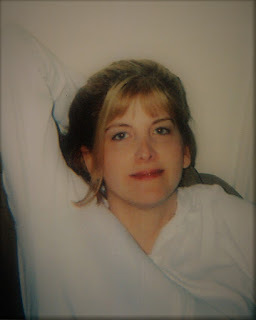 Writing has been her other great love. She has published several non-fiction pieces. She has been writing short stories for as long as she can remember. To her amazement, those short stories became novels! Terms and Conditions: NO PURCHASE NECESSARY TO ENTER OR WIN. VOID WHERE PROHIBITED BY LAW. A winner will be randomly drawn through the Rafflecopter widget and will be contacted by email within 48 hours after the giveaway ends. The winner will then have 72 hours to respond. If the winner does not respond within 72 hours, a new draw will take place for a new winner. Odds of winning will vary depending on the number of eligible entries received. This contest is in no way sponsored, endorsed or administered by, or associated with Facebook. This giveaway is sponsored by the author, R.J. Garcia and is hosted and managed by Stacie from BeachBoundBooks. If you have any additional questions feel free to send an email to stacie@BeachBoundBooks.com.